I rang Kym as I forgot to check me emails before I left, as I am new to this, and she was very helpful. Beautiful modern batch feel. Love being able to see the ocean. Absolutely stunning scenery and very tranquil place. 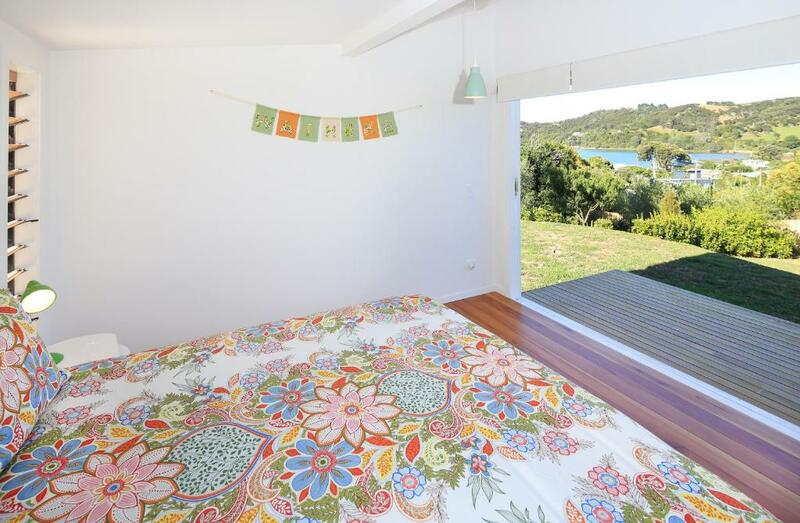 Beautifully decorated retro kiwiana style. Wonderful indoor outdoor flow. 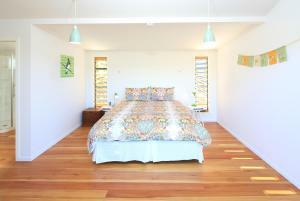 Great walking distance location to shops and beaches. 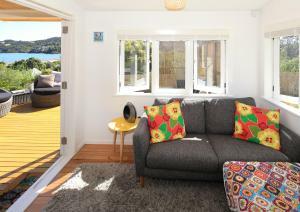 Loved the large deck and views, as well as the great shower pressure and comfy beds. 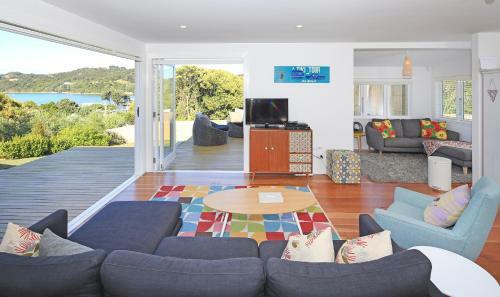 Large outdoor area with comfortable furniture and sea views. 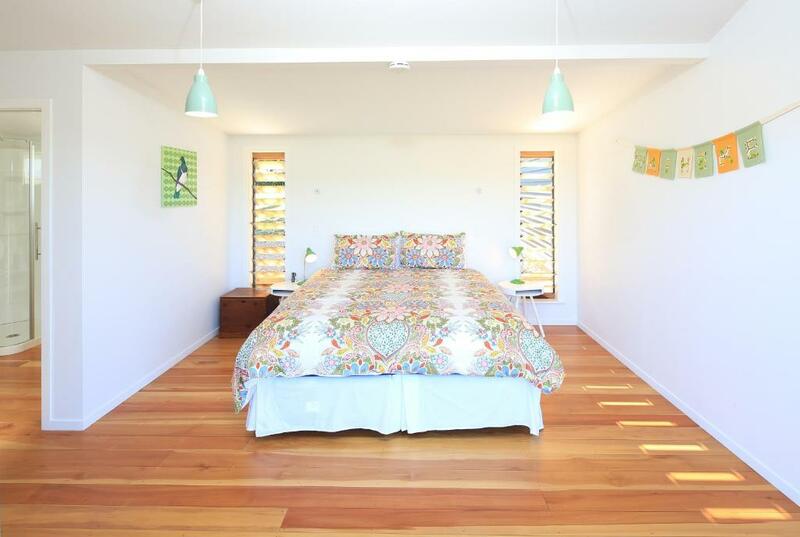 Two queen bedrooms with their own bathrooms - ideal for two couples. The location was great and the property was neat and tidy. The contact with waiheke staff was good, they were lovely and helpful when we had issues booking. The amenities/cleaning items provided was great and made it easy to keep the place tidy. 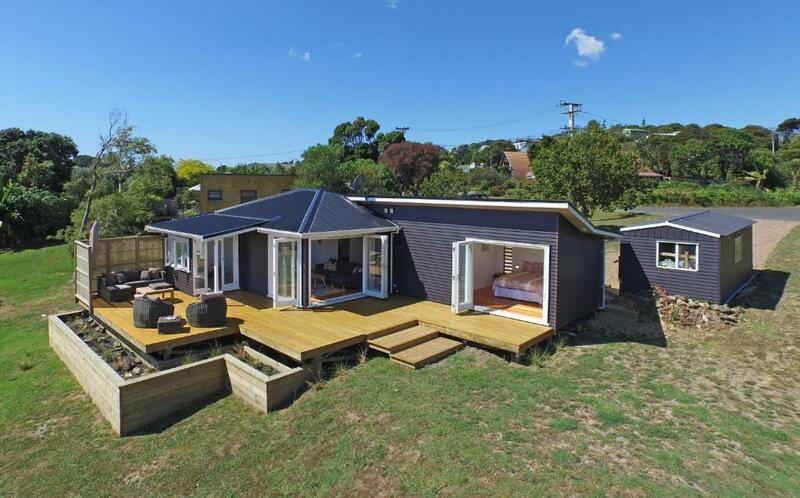 Fabulous location with a large deck and big windows overlooking a lovely view of the sea; stylishly and comfortably furnished; only 10 minutes walk from Oneroa town with local shops, restaurants and beaches. Lock in a great price for Black Beauty – rated 9 by recent guests! One of our best sellers in Oneroa! 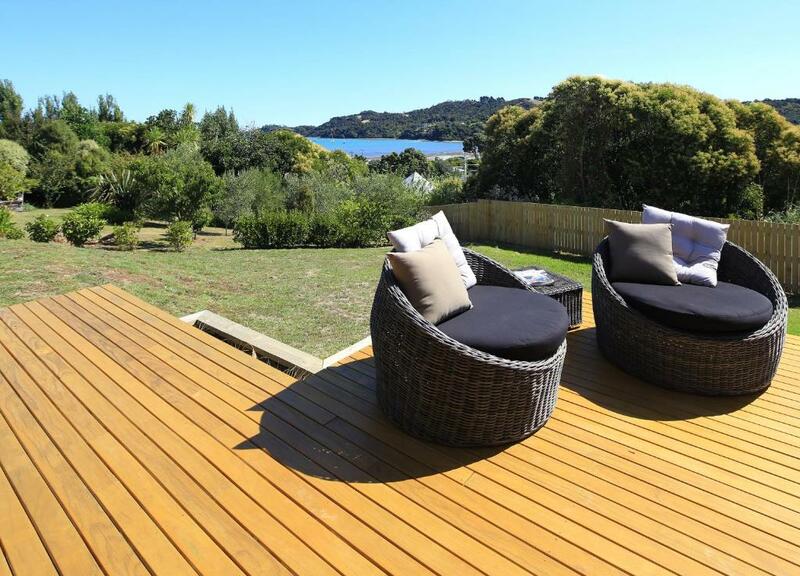 Featuring sea views, Black Beauty is located in Oneroa, 1.5 miles from Cable Bay Vineyard. This property has a patio. 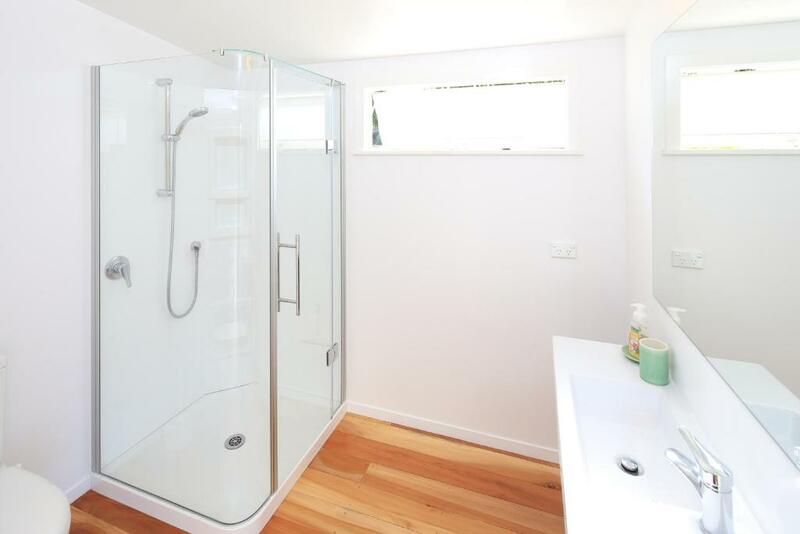 The vacation home has 2 bedrooms and 1 bathroom with a hair dryer. There's a seating area and a kitchen equipped with a dishwasher. Mudbrick Restaurant & Vineyard is 2 miles from the vacation home. When would you like to stay at Black Beauty? This holiday home has a electric kettle, oven and tumble dryer. 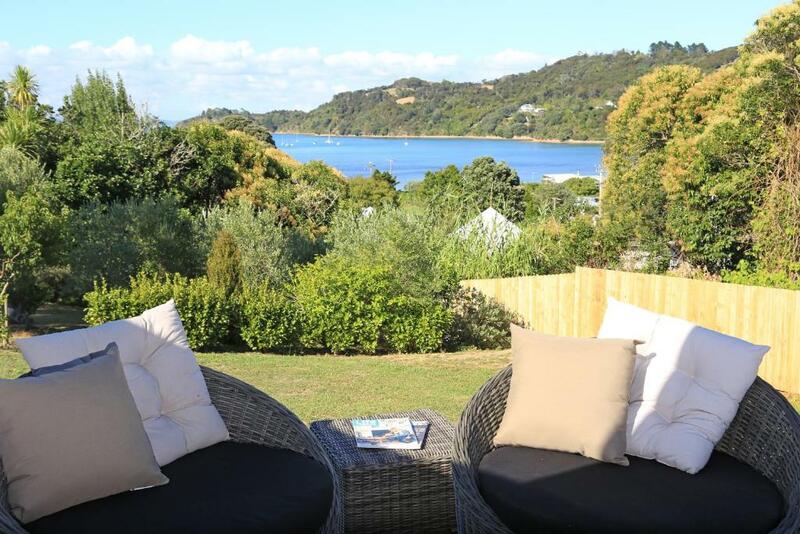 Our team at Stay Waiheke all live, work, and raise our families on Waiheke Island and we know well what makes this island so special. We look forward to sharing our local knowledge and assisting our guests with all aspects of their stay. House Rules Black Beauty takes special requests – add in the next step! Black Beauty accepts these cards and reserves the right to temporarily hold an amount prior to arrival. Please note that the property has no reception desk. The property will contact you prior to your arrival for a meet-and-greet. Guests are welcome to contact the property in advance for further information, using the contact details found on the booking confirmation. Parking for this property is off street and there is a track (around 100 steps) to the house from the road. Please inform Black Beauty of your expected arrival time in advance. You can use the Special Requests box when booking, or contact the property directly using the contact details in your confirmation. The front door was difficult to lock and unlock. The fridge was very wobbly. Very cosy and great outdoor area. There really needs to be something more than those two fans, it was a sweat box inside the house. We were only provided with one towel each for the duration of our stay (5 nights), and we were both woken up by the gardener who placed a portable speaker outside my bedroom window blasting loud music, we felt we couldn’t open the blinds as the gardener was literally right there with tools etc spread out on the deck so we went out for several hours and when we returned she was still there, music blaring, we wanted to sit on the deck and relax but were unable to do so, we couldn’t open the blinds/doors as they can see straight in but it was so hot in the house we just ended up opening the doors/blinds and walking around half naked in front of them. On another day the lawns were being mowed and I couldn’t get changed in my room without being seen by the bloke working. Pretty uncomfortable stay when we rented the property and couldn’t relax. I understand people have to do their work but these things should be organised for when there aren’t guests at the property, or maybe even let your guests know if they’re booked in. We don’t want the gardeners in trouble, they’re only doing their job but it needs to be done when the guests aren’t there. We found the lock box just a little tricky to open, but a quick phone call got us sorted out! Could not find the mixer but the picklets were still OK. The cleanliness was not good. The cuttlery, pans and glasses had to be washed before use as they were so dirty. The oven was also very dirty with trays full of sticky stuff on them. In addition, the bathrooms were also not clean. Great property with nice view.